The other day, something popped up on my Pinterest that I just couldn’t stop drooling over: this lovely rustic, Autumn tablescape. 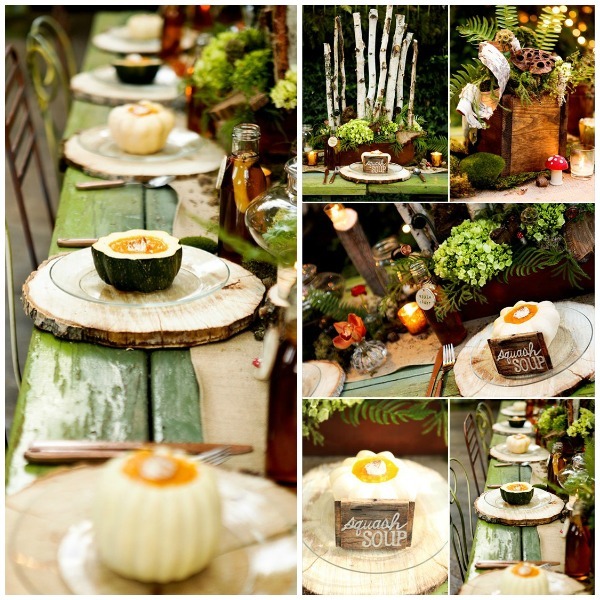 I thought there were some really fantastic ideas that could be used for a Fall or Thanksgiving tablescape, or even just used for some woodsy vignettes. And seriously…those little squash bowls of soup had me at hello! So, I searched the interwebs until I found five terrific tutorials by other bloggers that might help you recreate this lovely fall tablescape. Enjoy!